Question: What process is the FSU engaging to ratify this tentative agreement? Answer: The FSU Bargaining Team is authorized to enter into a tentative agreement with the administration. 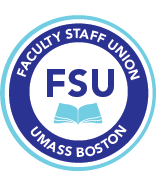 The tentative agreement was brought to the FSU Executive Committee for their recommendation for a yes or no vote to the membership. While the FSU Bargaining Team supports the tentative agreement, the FSU Executive Committee decision was to abstain from any recommendation. The voting is conducted by email through an electronic voting mechanism which is overseen by the FSU Elections Committee. Question: What does a Yes or No vote mean? Answer: A Yes vote means the parking tentative agreement will become fully effectuated and the new rates will be implemented in January 2019. A No vote means the membership rejects the tentative agreement and the parties will be immediately engaged in a fact-finding process. Question: What is the effect of fact-finding? Answer: By agreement of the parties should the tentative agreement not be ratified the parties will enter fact-finding. The fact-finder will review the positions of the parties and make a recommendation for a final agreement. The parties then have an opportunity to reach a new agreement based upon the fact-finder’s report. If they do not reach mutual agreement the administration can implement their last best offer. Question: Information provided by the FSU indicates the administration’s last offer was both $550 and $600/semester on-campus parking fee. Which is it? Answer: The administration’s last best offer, prior to entering into mediation, was $600/semester for on campus parking fee (see final offer, attached). Once the parties entered into mediation the FSU Bargaining Team was successful at getting the administration proposal down to $550/semester on-campus parking fee (their last offer; see the MOA, attached). As mentioned above, should the parties be unable to reach a mutual agreement after fact-finding then the administration can implement their last best offer – which is the $600/semester on-campus rate proposal made prior to entering into mediation. The positions of the parties during mediation will not be considered as the last best offer – only the offers made by the parties prior to entering into mediation is considered as the last best offer.